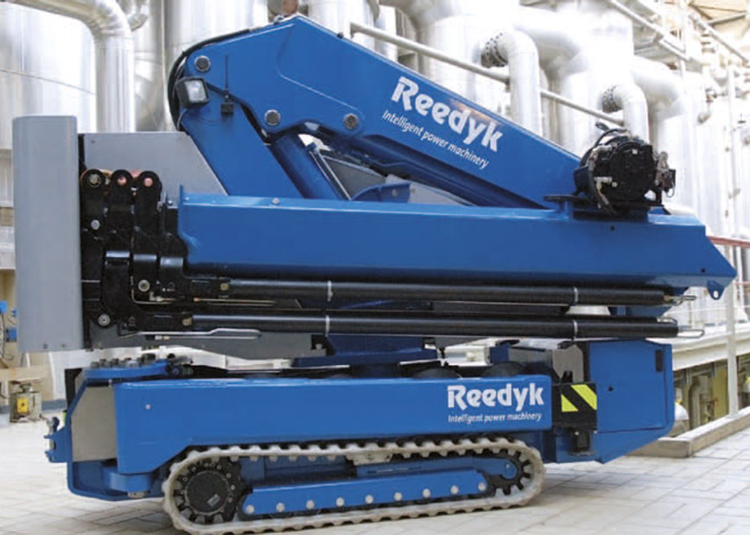 The Reedyk C3410 compact crane only measures 290 x 202 x 96 cm. 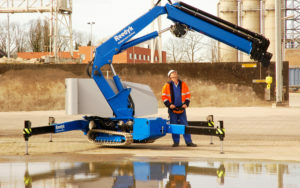 Thanks to the strong non-marking rubber tracks the crane has a zero turning radius. 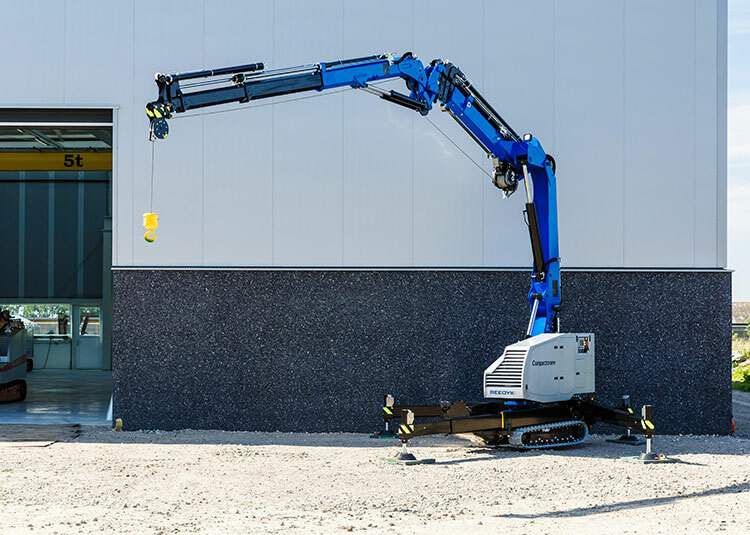 Crane travel is radio controlled, allowing it to pass through a gap of only 1m wide. Safely lifting and transporting heavy loads of up to 1,000kg is made effortless with the pick and carry deck. There are many different storage options available such as a lockable drawer for lifting tools. The construction of this machine is the highest quality possible to ensure reliable and impressive results for our clients. 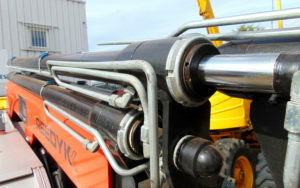 Our machines use premium engines with the latest hybrid technology, helping our machines to be environmentally friendly. 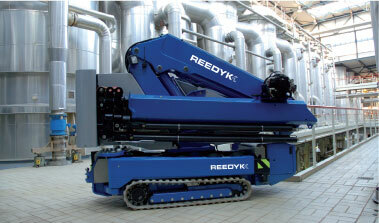 Infinitely variable outrigger positioning allows perfect positioning of the machine with a minimal support area. 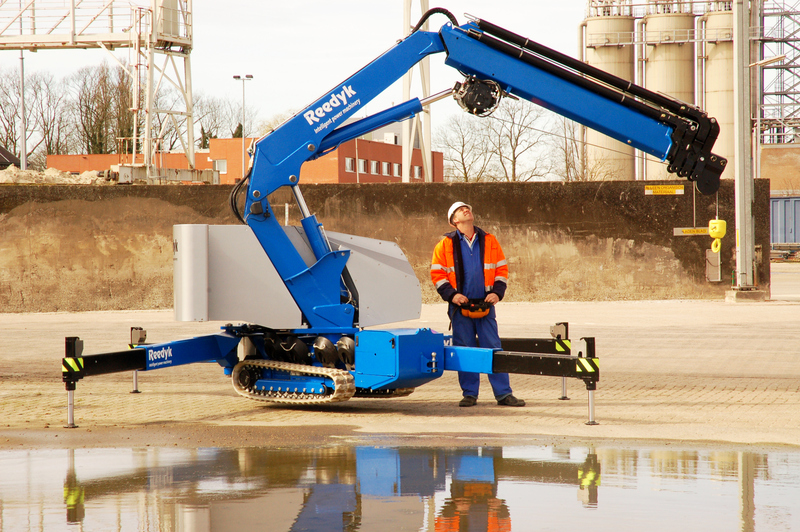 The flexible knuckle boom feature allows the REEDYK C3410 to be super compact. 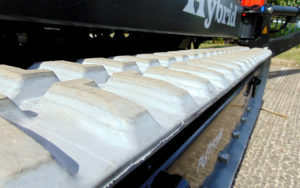 White non marking tracks may be useful when operating in certain areas. 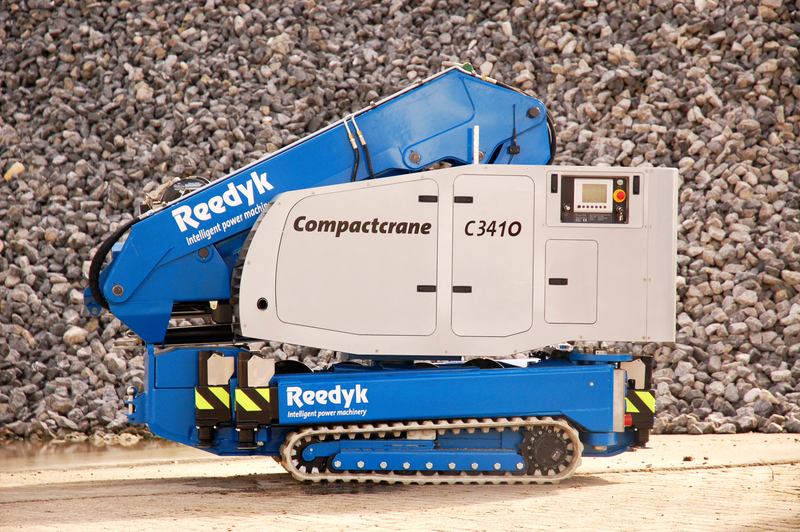 I thought it would be difficult to find a crane which needed to be super compact, able to lift heavy loads and most importantly not leave any marks on the ground but the Reedyk C3410 does all of this effortlessly, perfect!